South Korea's President Park Geun-hye was named a bribery suspect on Tuesday as special prosecutors wrapped up their three-month probe into the massive influence-peddling scandal, source from the Yonhap News Agency. 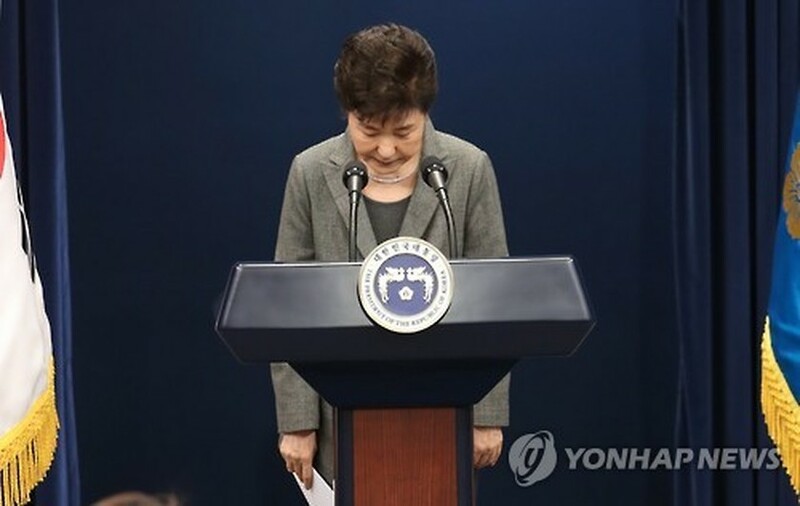 The probe team, led by Independent Counsel Park Young-soo, suspects that the president colluded with her longtime friend Choi Soon-sil in extorting money from the country's largest conglomerate Samsung Group in return for business favors, its spokesman Lee Kyu-chul said. Prosecutors will indict Lee Jae-yong, the de facto leader of Samsung, later in the day on charges of giving or promising some 43 billion won (US$36.3 million) in bribes to the president's jailed friend Choi in return for the government's backing of a merger of two Samsung affiliates in 2015. The spokesman Lee said they will seek to have Choi forfeit her illegally earned assets. He declined to comment on whether the property of Park, who was named an accomplice in Choi's alleged wrongdoings, will also be subject to seizure. A former university president suspected of offering favors to Choi's daughter and a doctor believed to have provided unauthorized medical treatments to Park will be indicted later in the day. A total of 17 suspects will be indicted or additionally charged on the final day of the investigation, according to the spokesman. The investigation team was given 70 days with another 20 days for preparation to look into the allegations that President Park let her friend Choi meddle in state affairs and amass profits using her ties to the president.